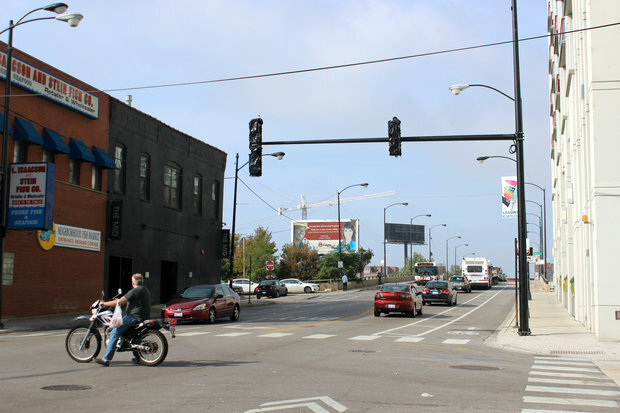 Traffic signals at the busy intersection at Fulton and Halsted streets were installed Friday. WEST LOOP — Much anticipated traffic signals at the busy intersection at Fulton and Halsted streets were installed Friday. 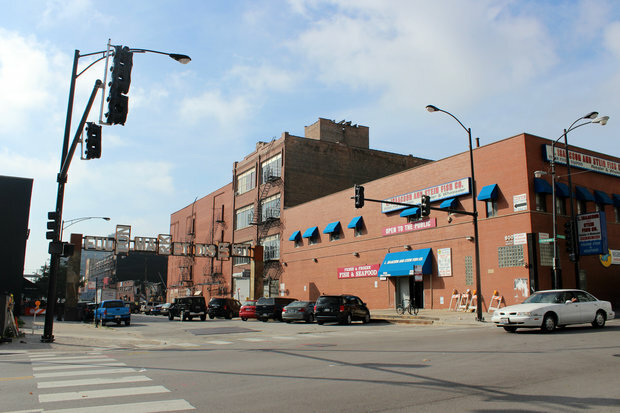 As of late Friday, three of the traffic signals had been installed at the intersection near the Fulton Market gateway. Earlier this year, Ald. Walter Burnett Jr. (27th) said the stoplight was much needed in the lively corridor. The signal installation is part of Mayor Rahm Emanuel's Fulton Market Innovation District, a $42 million plan designed to help shape development in the West Loop. The plan, announced in early 2014, calls for millions of dollars to be spent on infrastructure improvements including sidewalk and road repairs. Most of those dollars, including money to build a gateway, will come from the Kinzie Industrial Corridor tax increment financing district set up in 1998. As of 2013, the TIF district had a balance of about $70 million. The new traffic signals come after the $500,000 gateway marking the entrance of the booming Fulton Market district was installed in February. The decorative gateway, at Fulton Street near Halsted Street, was installed with tax increment financing funds from the Kinzie Industrial Corridor.